Ithas become common to get a tattoo while traveling in South-East Asia. Prices are low, quality and artistry are mostly good. And then it’s kind of cool to have something printed on you body in Thai which no one else understands like ไม่เป็นไร (no worries), มวยไทย (Thai boxing) or ที่นี่ไม่มีหิมะ (there is no snow here) – yes, somebody out there has that one! Today, however, we will introduce another type of tattoo, called the “Samui Tattoo”. By now they also come as Koh Phangan tattoos, Koh Tao tattoos or even farang (foreigner/Westener) tattoos, but it all started on Samui Island. 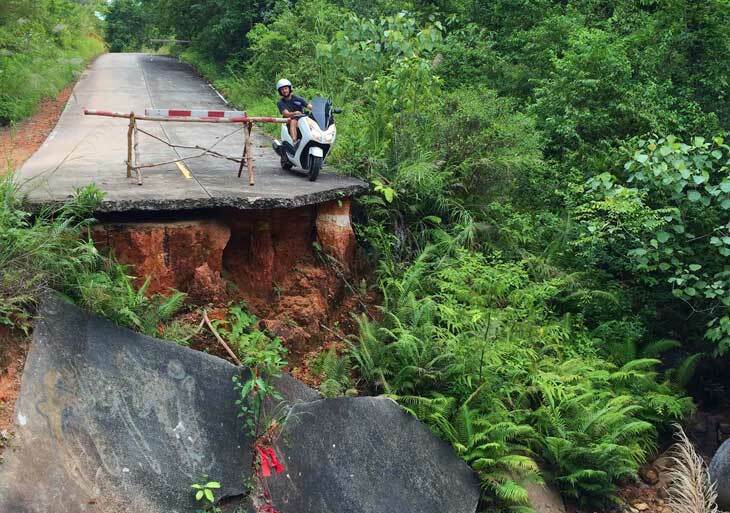 The Samui Tattoo is not made by a pointy ink needle, but a motorbike or a gravel road. Neither does the Samui Tatoo come as an intentional and well-planned artistic expression on your body, but as a result of unawareness, alcohol intake, overconfidence, and lack of skill and practice. You probably guessed it by now. It’s about foreigners or farangs deciding to rent motorbikes to get conveniently around on the Thai islands. The roads are bumpy, the driver is unfamiliar with the vehicle, and the island vibe dictates that a bit of alcohol is no problem for a little night ride home in the dark. The result is often a bruised arm or leg with a long-lasting scar – a.k.a. the Samui Tattoo. …and if you get a “Samui Tattoo” like this girl, there is no swimming for a couple of weeks. The Samui Tattoo results either from a motorcycle crash or a burn mark from the ridiculously hot exhaustion pipes on many motorcycles. Either way, it is not the kind of tattoo you want to have on your beach holiday. 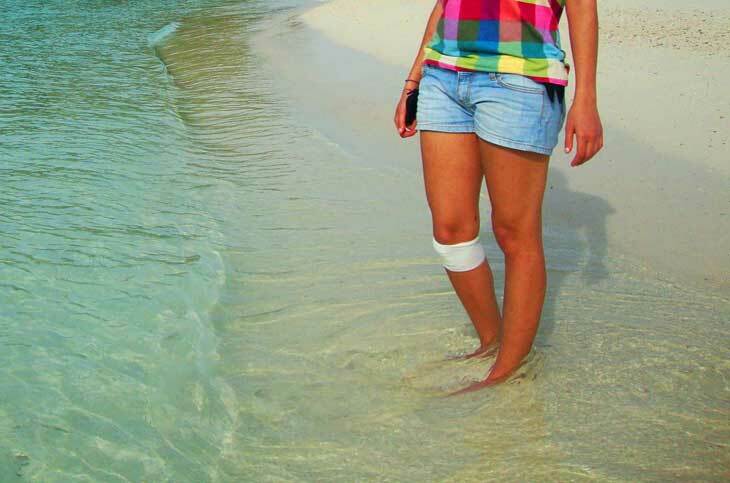 In the moist tropical climate, dealing with a wound is a bummer. It often takes weeks before it is properly healed, and you will get a nice rock n’ roll scar as a memory. Swimming in the sea makes it worse, so get yourself a good book, and befriend a hammock for a while. 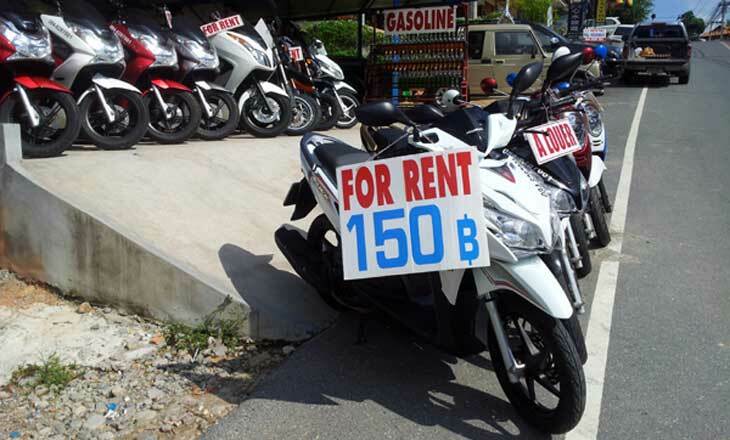 Are you considering renting a motorbike in Thailand? Have a look at these great tips from the online magazine South East Asia Backpacker.